In this guide I am talking about MAIN server and MTA server, so to avoid any unnecessary confusion let me clarify this. The price I am paying for my main server is 14.99 € (around $18) per month. And since it is not doing anything wrong and there is no reason for my VPS provider to shut it down I can pay for it for 1 year and get an even lower price. Of course, I never pay for my MTA servers up front. They are the bad guys and could be taken offline at any time. But even if they do I still have enough left and can add a new one in about 30 minutes. The price I'm paying for MTA servers is from 1,5 € - 5 € for each server per month, but more about this later when we'll look at the process of setting up MTA/sending server. 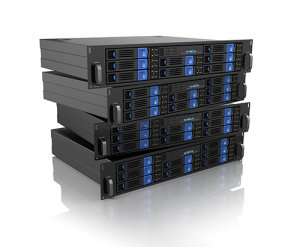 A bit more Powerful VPS (I suggest at least 8GB RAM, 16GB recommended). Don't have a server online yet? Get it online in less than a minute. If you didn't set your hostname during your VPS setup or the provider you are using does not have this option follow "How to setup hostname". Now depending on your CentOS version use the appropriate lines. The install process can take from 5-20 minutes depending on your VPS specifications, so get a cup of coffee and relax. When the install finishes copy login information and paste it to a safe place. I always create a new text file and save all login details in it. Of course, I save it in a safe place (check Tools). The installation is now complete and you can login to control panel and start with basic configuration. PLs advice “How to setup hostname” in webmin.